INDIANAPOLIS -- In an expansion of its partnership with Indiana Black Expo Inc., Indiana University's Office of the Vice President for Diversity, Equity and Multicultural Affairs will sponsor the Indiana University Education Conference at the 47th annual Indiana Black Expo Summer Celebration, which runs July 10 to 16 in Indianapolis. Higher education will be an added track to the Indiana Black Expo's annual education conference, which celebrates its 10th anniversary this year. The conference -- on Thursday, July 13, at the Indiana Convention Center in Indianapolis -- will focus on issues such as college access and retention for underrepresented minority students, featuring workshops presented by IU faculty. IU has been a proud supporter of the Summer Celebration, one of the largest African-American cultural events in the country, for more than three decades. James Wimbush, IU's vice president for diversity, equity and multicultural affairs, dean of the University Graduate School and the Johnson Professor for Diversity and Leadership, will introduce education conference keynote speaker Michael Eric Dyson, a bestselling author and renowned political analyst. 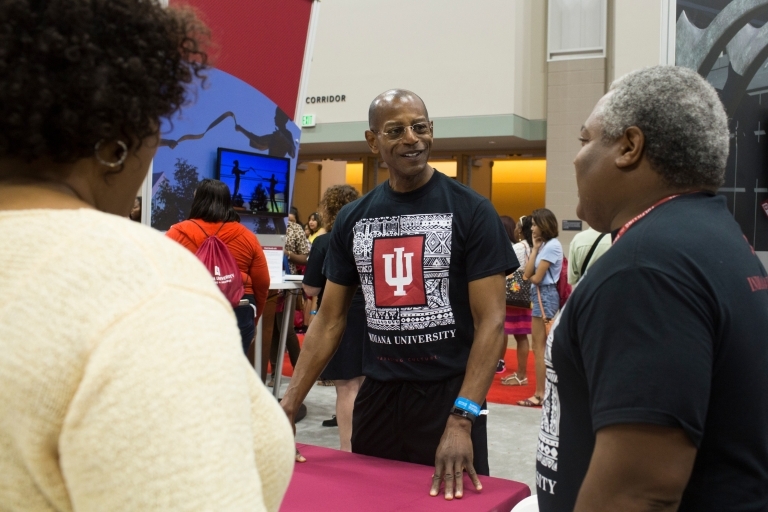 "Given IU's long affiliation with the Indiana Black Expo, I'm ecstatic that we can strengthen our relationship by offering a new and vital element to the celebration that can benefit educators, the community and, most significantly, students," Wimbush said. "Supplementing this storied event with best practices in higher education illustrates the university's commitment to success for students of all backgrounds. "Indiana University's sponsorship of the Indiana Black Expo Summer Celebration Education Conference shows how dedicated IU is to serving the community," said Tanya Bell, Indiana Black Expo president and CEO. "I'm extremely pleased about this collaboration, especially with the addition of a higher education track that highlights important issues for underrepresented minority students and provides strategies to address them." Among the presenters at the Indiana University Education Conference will be Alexander McCormick, director of the National Survey for Student Engagement and IU Bloomington associate professor of educational leadership and policy studies, and Pamella Shaw, IU School of Dentistry associate dean for diversity, equity and inclusion. Other presenters at the education conference include the Indiana Commission for Higher Education and the Strata Education Network, while the Indiana Civil Rights Commission, a sponsor of the event since its inception, remains involved as a partner. IU will also participate in the 47th annual Indiana Black Expo Summer Celebration through various IU-sponsored events such as the Pacers Sports and Entertainment Corporate Luncheon and Awards Presentation, the largest luncheon in the state of Indiana and the celebration's signature event, on Friday, July 14. In addition, IU will host a booth in the Indiana Convention Center Exhibition Hall, where attendees can participate in several activities, including IU's 21st Century Scholars Days. Prospective students who are Indiana residents can visit the IU booth on Saturday, July 15, and Sunday, July 16, to maintain their eligibility and complete requirements for Indiana's 21st Century Scholars Program. Students can learn more about the 21st Century Scholars programs on each of IU's campuses, and the Indiana Commission for Higher Education will provide additional information to students and families about Indiana's 21st Century Scholars Program.